Cloud deployment is different. It involves tighter devops handovers, the ability to scale services both up and down, and hybrid cloud computing: moving services between your private cloud and multiple public cloud providers. Accelerated provisioning through IAAS has put the spotlight on friction in the deployment, configuration and management of services. This friction can only be overcome via a change in emphasis, from configuring machines to connecting services that can then be scaled independently. In other words, service orchestration. With Juju, services can be deployed, connected, upgraded and re-used by defining them as Juju charms. Encapsulating service intelligence in charms enables you to separate deep service-specific skills from broad operations management skills. 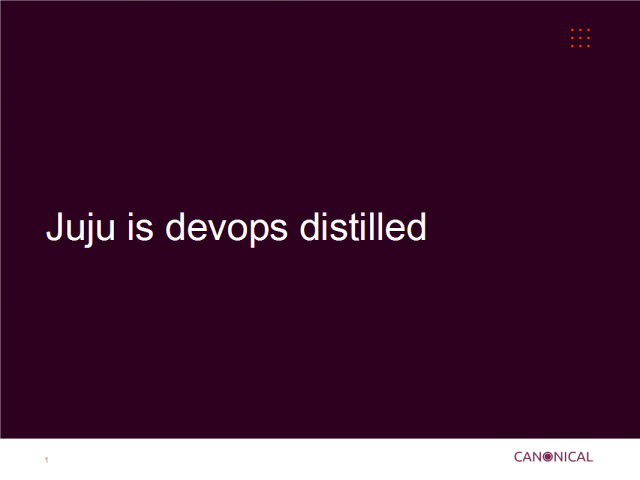 This webinar, jointly presented by Ubuntu founder Mark Shuttleworth and devops expert Clint Byrum, will cover cloud deployment and devops with Juju.